As I sit and reflect on the last few weeks, stress is a common theme in many of the discussions I have with my clients. We’re either talking about their stress and how I can help, or their employees’ ability to handle stress whether that be from customer, project or daily demands. The tricky thing about stress was expressed perfectly by a gentleman I had the pleasure of working with for the last few years. I call him, as do most of his clients, Coach Kevin a.k.a. Kevin N. Lawrence. In his new book Your Oxygen Mask First he says…”The uneasy truth is you can handle stress until you can’t”. And isn’t that the case? Most people can handle stress until it gets bigger than your ability to handle it. Coach Kevin then reminds us that it is more than ok to ask for and get help. Sometimes, people think their inability to “handle” stress makes them weak or a failure, I believe quite the contrary. Acknowledging that you not only need help, but getting the help you need shows that you are a strong person who wants to grow and learn from all of your experiences, good, bad or ugly. 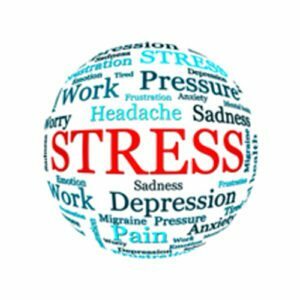 In the workplace you need to be aware of how stress is impacting your behavior, performance and productivity but also pay attention to how others are handling their stress. If you see someone that may be struggling, their behavior changing or becoming unusual, or using coping mechanisms that may not be healthy, reach out to them. Perhaps invite them for a cup of coffee, offer an ear or make sure they know about resources that may be available to them like the company Employee Assistance Program (EAP). Pssst…if your benefit plan does not have an EAP, it should! As mental health and wellness continues to be a significant driver of increasing benefit costs, preventative options, like an EAP, are critical. Call me, and we can talk about this! How can people manage stress? Either their own or support their employees in managing theirs? Reach Out: Sometimes the best stress reducer is sharing your stress with someone you trust. I don’t mean giving it to them to solve, I simply mean talking it out, getting support and maybe a little sympathy and understanding. Find a good listener or be a good listener sometimes that will make a world of difference. Healthy Habits: When you are pushing yourself too hard or overly focused on work, it becomes easy to neglect your physical health. Make sure you are eating well, skip the chips and beer, and eat small, frequent healthy meals. Ensure you schedule exercise is part of your routine, 30 minutes a day, all at once or broken into shorter durations, is all it takes to provide significant benefits. One of my clients has a bell that rings every hour, everyone gets up from their desk and does a number of activities (stretching, squats, lunges, etc.) while a “pump you up” song plays for about 4 minutes. It’s awesome! And provides a great, quick break from the grind! Unplug and Sleep: Stress follows us everywhere now, there is no getting away from it. We are constantly connected and subjected to news and stories that can increase our stress levels. Take a break every day – even if it is for 15 minutes! Stay away from TV, social media, email, phones, games…all of it, and escape from the world for a few minutes. Make sure you are getting enough sleep. Lack of sleep greatly interferes with your daytime productivity, creativity, ability to problem solve and focus. Get some rest, it makes a difference. Realistically Prioritize: Trying to fit too much into a day is counter-productive. Determine the difference between the “should” do’s and the “must” do’s. Make sure you are making time for the items that have the greatest impact, and not the busy work…another great lesson I learned from Coach Kevin. It’s easy to be busy but not productive. You’ll feel better about the work you are doing when you know it is the work that helps achieve larger goals and objectives. Additionally, make sure you establish the boundaries that allow you to take care of yourself and maintain periods of time where you are not working or thinking about work. Ditch Bad Habits and Find New Ones: Resist the need to be perfect or do things perfectly. When you set unrealistic goals and expectations, you’re setting yourself up to fall short. Do your best, work hard and get things done that’s all anyone can ask for. Turn off negative thoughts, set a positive mindset when you start your day, avoid negative-thinking people (a.k.a. negative-nellies at the office), look for the good around you, and acknowledge the small accomplishments in your day. Lastly, look for the humor in situations…LAUGH! When you, or the people around you, are taking things too seriously, find a way to lighten the mood. Having worked with a number of public practice accountants, I always see the irony of April, otherwise known as tax season, being Stress-Awareness month. To my accountant colleagues, clients and friends…YOU MADE IT! We appreciate how hard you work to get our taxes done in such a short window of time! If you are a business leader feeling the stress of doing it all, let us help! 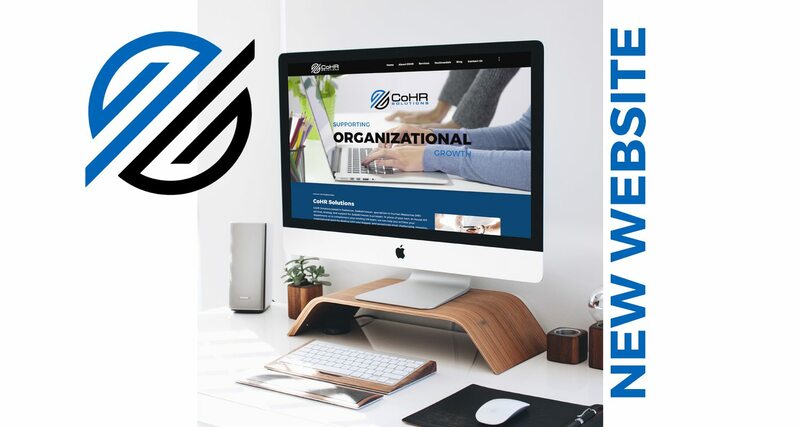 Check out the services CoHR Solutions can provide to let you focus on building your business! 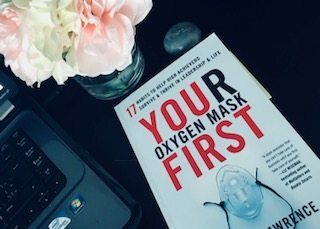 Whether you are a young professional growing your career, or a seasoned veteran of the business world, you have to get a copy of Coach Kevin’s book Your Oxygen Mask First! It is an amazing resource for people who want to thrive in both leadership and life. Thank you Kevin, for your words of wisdom!